Jefferson: McFarland & Company, 2011. Margaret Mitchell’s Gone with the Wind is one of the most famous and influential novels of 20th century literature. It inevitably affected the industry of genre fiction and the academic world. The novel holds plenty of sales records which shows its constant popularity among Gone with the Wind readers, the number of whom is continually increasing. More and more secondary writings emerge on it regardless of the fact that the novel has already been approached and interpreted in several ways. It has been claimed to be a love story, a historical novel, a war novel, a story of survival and several themes, such as slavery, marriage, jealousy, loneliness, miscegenation, etc. have emerged as crucial aspects that informed critical analyses. The Wind Is Never Gone by M. Carmen Gómez-Galisteo is a comprehensive monograph on the literary world surrounding Gone with the Wind. Besides Margaret Mitchell’s original novel, the book covers two authorized sequels, Scarlett by Alexandra Ripley and Rhett Butler’s People by Donald McCaig, Alice Randall’s unauthorized sequel The Wind Done Gone, and innumerable works of fan fiction that take place in Margaret Mitchell’s storyworld. Although The Wind Is Never Gone is structured in the chronological order of the works discussed, several crucial issues recur in the book. As the subtitle “Sequels, Parodies and Rewritings of Gone with the Wind” already suggests, the most important issue grappling with the content of Mitchell’s work in general can be articulated in the following question: What qualities of this novel inspire its revival in primary literary works? Seen from this angle, the first significant part of the novel is its ending. As Gómez-Galisteo points it out, reading the novel creates an expectation in the reader that at the end of the book, Scarlett and Rhett will be reunited. However, this expectation is thwarted as Rhett leaves Scarlett, which elicits the feeling of an unhappy and thus unsatisfactory ending to the novel. This is why Gómez-Galisteo argues that writers and readers feel the need to have a sequel. Mitchell herself rejected writing a sequel and the copyright issues around Gone with the Wind prohibited it for other potential writers for a long time. The turning point was 1991, when the first authorized sequel, Alexandra Ripley’s Scarlett was published. Another sequel was written by Alice Randall. Randall’s inspiration for writing The Wind Done Gone was utterly different from that of Ripley. As an African-American woman, Randall criticized Mitchell for having written a racist novel which depicted slavery inadequately. For this reason, Randall wrote her novel from the points of view of her Afro-American and Mulatto characters. 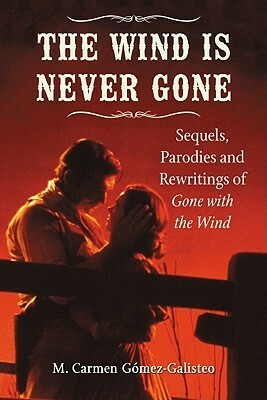 The copyright holder of Gone with the Wind (the Margaret Mitchell Trust) was against the publication of Randall’s work, so it could only be published with the label of ‘an unauthorized sequel’, as Gómez-Galisteo dedicates an entire chapter to discuss this painstakingly (Copyright Not Gone with the Wind, 55-78). The Trust could not prevent the publication of Randall’s work and, in response, they decided to publish a second authorized sequel, Rhett Butler’s People by Donald McCaig in 2007. In spite of the fact that McCaig’s novel was written on the Trust’s behalf, McCaig’s reason for writing it originates in the plotting of Gone with the Wind as well. The main character in Mitchell’s novel is Scarlett O’Hara, consequently the entire novel is based on a female perspective. This is in parallel with criticism Mitchell got for representing sketchy male characters in Gone with the Wind, an aspect McCaig intended to remedy. His central figure is Rhett and, thus, his novel features a male perspective. The widespread availability of the Internet made sure that every reader can become a potential writer and publish their work without any fear of getting into a copyright case. Under these circumstances, fan fiction thrived, especially Gone with the Wind fan fiction, as Gómez-Galisteo notes. Thanks to this kind of writing, everyone can have their individual take on an alternative story set in the novels’ world. As for the inspiration behind the literary revival of this popular book, Gómez-Galisteo’s argument and examples are brilliant and convincing. The second issue which the author elaborates upon is the significance of later works in the Gone with the Wind canon. She claims that the novel helped the Americans face the Great Depression in the 1930s and that it became a symbol of resistance for the French under Hitler’s attack in World War II. It took on a similar role for boosting the Spanish soldiers’ morale while fighting in the Spanish Civil War. Needless to say, it also had a strong significance for feminist activists, who argued that Scarlett is a proto-feminist. Scarlett was an overall disappointment. While Ripley devised a way to reunite Scarlett and Rhett, Gómez-Galisteo claims that it is not a satisfactory sequel because the trajectory of their relationship remains unclear and, consequently, Ripley’s ending is as open as Mitchell’s. The character of Scarlett also disappointed readers and critics alike. Ripley’s Scarlett undergoes major character development which turned out to be irreconcilable with Mitchell’s firm and static original portrayal. response to Mitchell’s inadequate representation of slavery. The latter shows us the events from Rhett’s perspective, which can be interpreted as a criticism of the sketchy male figures it Mitchell’s original work. Although Gómez-Galisteo mentions that Randall marginalized her white characters as much as McCaig did with his female figures, it could have been emphasized further that The Wind Done Gone and Rhett Butler’s People failed to correct Gone with the Wind despite Randall and McCaig’s stated aims. Fan fiction, on the other hand, is important, primarily because it opens the door for countless Gone with the Wind alternatives. The representation of Scarlett as a sexually insatiable woman, or Rhett as an alcoholic, or Scarlett and Rhett as high-school students in 2009, or Scarlett as a country singer clearly reflects the unlimited potential of fan fiction. It put an end to the copyright debate, even if solely within the realm of the Internet, and provided the freedom of creation to anyone. Still, what I found missing from The Wind Is Never Gone is a stronger emphasis on the parallel which sees fan fiction created during the making of the canon, up to our present days, as an allegory of the exponential expansion of the Gone with the Wind fiction, since it also reflects upon what will probably happen to would-be printed texts within the canon after the expiration of copyright on Mitchell’s novel in 2019. In addition to its previous strengths, the book has several other strong suits as well. 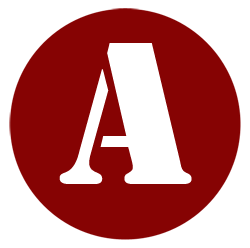 Gómez-Galisteo’s use of letters, memoranda and other sources raises the academic value of her accurate and meticulous work. The scope and depth of her analysis is evidenced by Gómez-Galisteo’s critical commentary, her discussion of legal issues, audience reception and the cultural and historical milieu of the works under scrutiny. Her arguments are very well complemented by her comparison of the canon with other literary works such as Jane Eyre, Wuthering Heights, or Rebecca. All in all, I consider M. Carmen Gómez-Galisteo’s The Wind Is Never Gone to be a very significant and serious academic work. It deals with a topic which is relevant in our present days. The author’s own words clearly state that: “Tomorrow will certainly be another day in which Scarlett may get Rhett back or not, but what is for sure is that tomorrow there will be another Gone with the Wind continuation” (179). The monograph is not only valuable for Gómez-Galisteo’s thought-provoking insights, it is also written in an enjoyable and readable tone, making the book a must-read for Gone with the Wind fans and literary scholars interested in the wider canon, too.